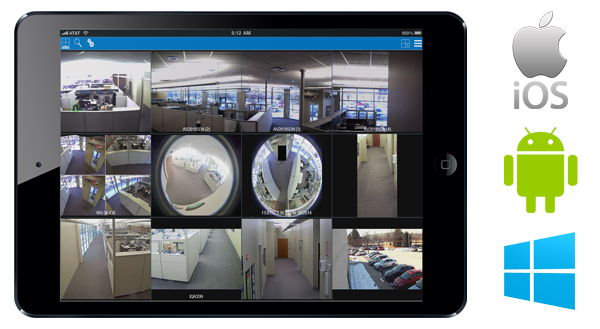 I'm using this mobile video surveillance app on my iPad, called Exacq Mobile 3 to monitor cameras in our store when I'm in the backroom. and lets it turn off the screen if I don't touch it for a few minutes. And that is very frustrating! All this takes about 30 seconds to do. Not much. But it becomes very annoying when you have to repeat it 20 times! I tried contacting the company (about couple years ago) about fixing this and got nowhere. Awful customer service! So being a Mac user, I know that there's a macOS app called Caffeine that you can click on the menu bar and it will keep screen on indefinitely. Is there a similar app for an iPad? PS. I tried disabling the feature that turns the screen off in the iOS settings, but unfortunately it also messes me up when I'm using this iPad for something else that doesn't need keeping the screen on. For instance, if I'm browsing the web and then lay it down and then come back to it a few hours later, the battery on the iPad will be completely dead. Browse other questions tagged ios ipad applications video screensaver . Is there an iPad app that lets me share my iPad screen with someone at another computer at another location? Screen capture app that captures a window even when minimized? Is there an alarm clock app to replace Sleep Cycle? Can I control broken iPad from computer?